Leonardo narrowly defeats the strange warrior in a pitched battle. Mike and the Regenta spend quality time together. 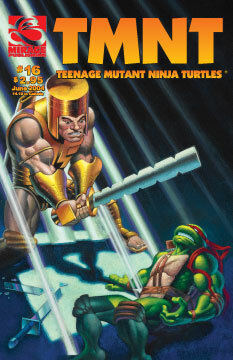 Donatello and the Utroms find some allies in their strange prison. Raphael feeds.